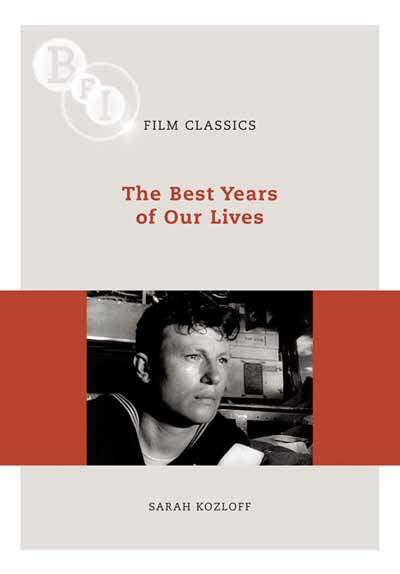 William Wyler's The Best Years of Our Lives (1946) tells the story of three veterans returning from World War II and adjusting to civilian life in a manner unusual for classical Hollywood cinema, with melodrama leavened by authentic detail, personal memories and a fierce desire to capture its historical moment. Sarah Kozloff's illuminating study of the film traces the contribution of Wyler (himself injured while serving in the US Air Force), Robert Sherwood's screenplay, Gregg Toland's deep-focus cinematography, Hugo Friedhofer's award-winning score, and the ensemble cast of Myrna Loy, Fredric March, Dana Andrews, Teresa Wright and Harold Russell. The film's poignant message spoke to American audiences reeling from the end of the conflict and the bumpy transition to peace: producer Samuel Goldwyn received hundreds of letters from ex-servicemen about how accurately his production had captured their experiences. Despite winning nine Academy Awards, Best Years was soon engulfed in political conflict from both the right and the left. Disagreements about the film's politics foreshadowed HUAC's anti-Communist investigations and the fracturing of the Hollywood community that culminated in the collapse of the studio system. Sarah Kozloff's discussion of the film's development, production and reception history draws on archival research to shed new light on our understanding of this much-loved movie, and to bring The Best Years of Our Lives back where it belongs: in our collections, in our libraries, and in our hearts.